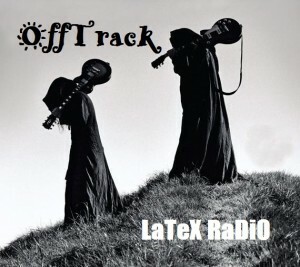 OFFTRACK: An eclectic mix of of musical genres, spoken word, sound effects, noise, mashups, and audio clips off the beaten path. Think of it as late night psychedelic radio. Genres include a wide range such as classical, rock, industrial, gothic, EBM, ambient, trance, experiemental electronica, and much more! Consider it “Short Attention Span Musical Theater”. There is no real rhyme nor reason behind it. It’s just chaotic fun!! This show is intentionally much longer than my usual episodes. 03. Meat Beat Manifesto – 1234. 12. Midnight Syndicate – Uh-Oh! 28. The Beatles – Have A Banana! This show feature GLITCH and Circuit bent sounds with DJ Max. The Devil’s Rave is a mix of Aggro EBM and various other types of IDM with a ravish feel!